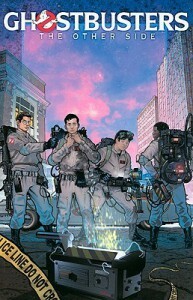 This was a decent Ghostbusters story, but left a lot to be desired. The Ghostbusters go against ghost mobsters. Al Capone himself is there ha. Peter is possesed, the other guys die and are sent to purgatory. Like I said, the story is thin but it was a quick, fun read.